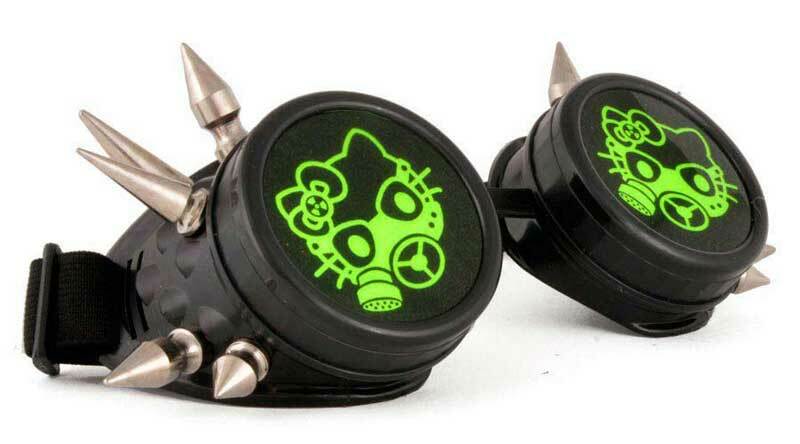 Black with green goggles, UV reactive cyber kitty image and spikes. 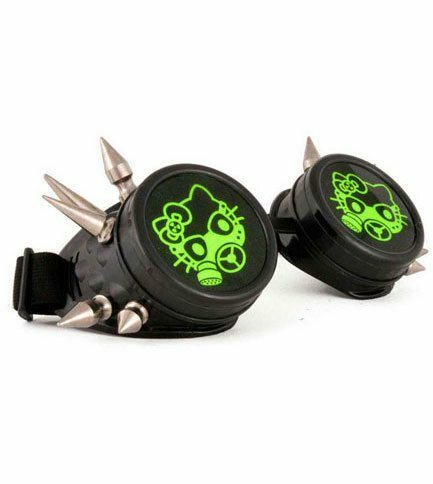 Interchangeable lens pair, 1 clear, 1 black and 1 design. This popular kitty has never looked so cool than in these punkish styles.